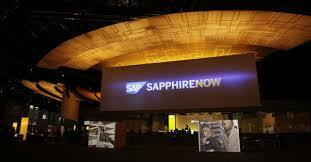 Miami Beach, FL – (May 23, 2014) – Mediaspectrum, Inc.®, the premier global provider of enterprise cloud solutions for companies seeking to increase revenues, manage content, streamline processes and improve customer experience, is exhibiting at SAPPHIRE® NOW and the Americas’ SAP Users’ Group (ASUG) Annual Conference happening June 3-5 in Orlando. Mediaspectrum will offer attendees the opportunity to experience its CORE platform, which aligns 100 percent of the data and content a company uses to create value, automates thousands of real-time transactions and tasks to help reduce operating costs by up to 80 percent, and helps bring new ideas or solutions to the market faster. Mediaspectrum’s content management and mobile delivery solutions – used together with the SAP HANA® platform and SAP® BusinessObjects™ solutions – consolidate digital and mobile publishing across devices with unrivaled customer insights. It is the most technologically advanced content management and publishing solution available today, with a feature-rich environment that handles content creation, production and distribution for mobile devices, tablets, Websites, and print. Mediaspectrum’s advertising solutions – used together with SAP HANA and SAP Business Suite software – provide groundbreaking functionality to help businesses address the rapidly changing advertising and content distribution opportunities presented by consumers shifting their media consumption. These solutions enable customers to improve efficiencies through consolidation and automation, while driving incremental revenue by accelerating delivery of innovative products to market at a lower total cost of ownership. Whether looking to integrate existing business systems or develop new technology on a world-class platform, Mediaspectrum can help. To schedule a demonstration at SAPPHIRE® NOW, contact Susie Dougherty via email at sdougherty@mediaspectrum.net or simply drop by Booth #1609 to learn more. Mediaspectrum is the premier technology for companies seeking to harmonize data, automate manual tasks, move business processes to a modern cloud environment and bring news or solutions to the market faster. Our 100% cloud-based platform provides a unique environment to achieve these objectives, reducing costs, increasing revenues and improving the customer experience. Mediaspectrum is a Miami-based company with approximately 100 employees worldwide, with additional offices in Boston, London, Moscow, Sydney and Lausanne. We are found on the Web at www.mediaspectrum.net. SAP, SAPPHIRE, SAP HANA and all SAP logos are trademarks or registered trademarks of SAP AG in Germany and in several other countries.